Our flexible and modular food service and POS solution is geared at increassing revenue and enhancing the dining experience for both the staff and the customer. 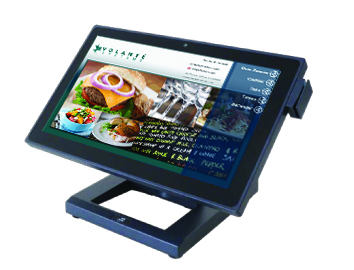 ITC Systems offers a complete food service solution for all your dining, casual dining, bar, food court and pub environments. Our food service solution starts with the powerful backend Multiplan software that allows for transaction management, debit accounts, Meal Plans, Payroll Deductions, Cashless Vending and Comprehensive Reporting. Our Cashless food service solutions is further integrated with an outstanding Point of Sale software and a complete line of the latest Point of Sale terminals. Based on your need, we will further enhance your POS Solution by integrating and providing the best POS terminals, receipt printers, kitchen printers, cash registers, digital signage, security systems, mobile application, bar code scanners scales and all latest peripherals so that you can provide your clients with the best dining experience. Our Configurable solutions offer ideal ways to introduce “cashless” food service programs into your organization. Replacing cash across your food service operations is a cost effective way to increase sales, reduce operational costs and improve cash flow while offering your customers greater convenience and security.